Family costume from our favorite movie! 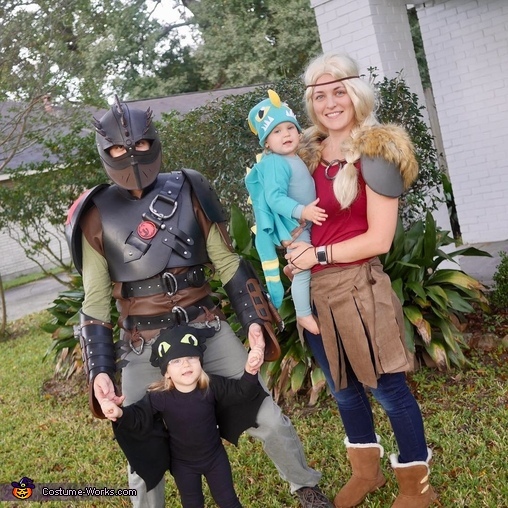 Dragon costumes purchased from Etsy. Hiccup costume handmade.